DOUNKEU CHRISTIAN made this proclaimation after a training session on First Aid at work, CPR and he use of the automated external defribrilator. 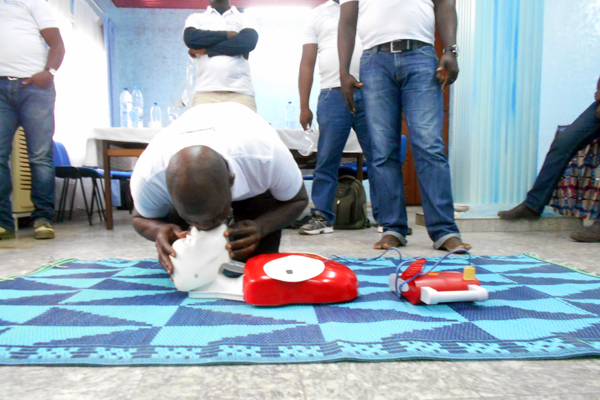 The management of SATELEC FAYAT, a company of the FAYAT Group had contracted the Hy-Classe Group of Companies to train their workers on First Aid, CPR and the use of the automatic external defribrilator. As per the contract, Hy-Classe Training, an enterprise of the Hy-Classe Group of Companies proceeded with delivering the first aid, cpr and AED training to workers of SATELEC. 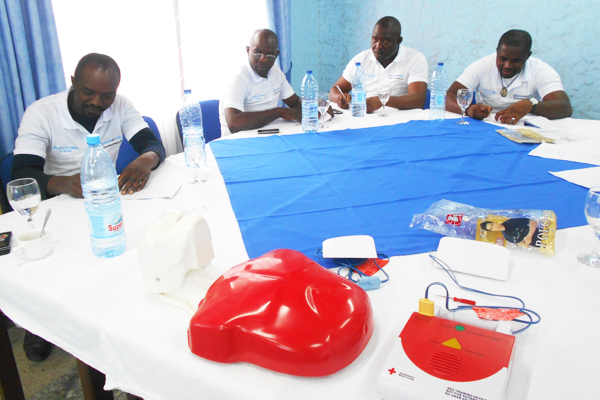 All the departmental heads and supervisors of Satelec FAYAT attended the First aid, CPR and AED training organized in Douala Cameroon. 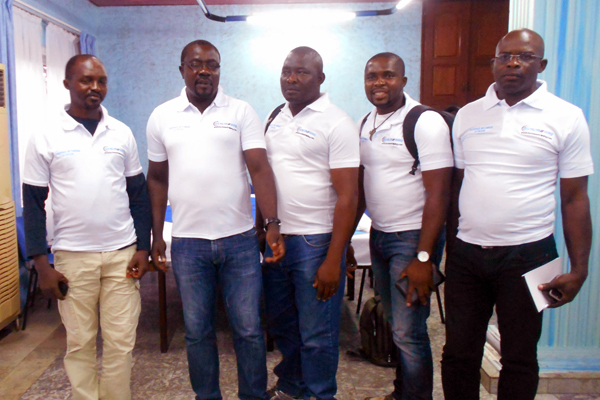 According to MBASSI ALEXANDRE of Satelec FAYAT, the training was beyond their expectations. “I thank the management of Satelec FAYAT for choosing Hy-Classe Group and the staff of Hy-classe Training for such a rich training package. The training is far beyond our expectations. The Trainer is excellent, the Customer service is wonderful, and the training setting and material use are really good”. CHAGA RAPHAEL, another employee of Satelec FAYAT who took part in the First Aid and CPR training said the practical phase of the training was challenging. 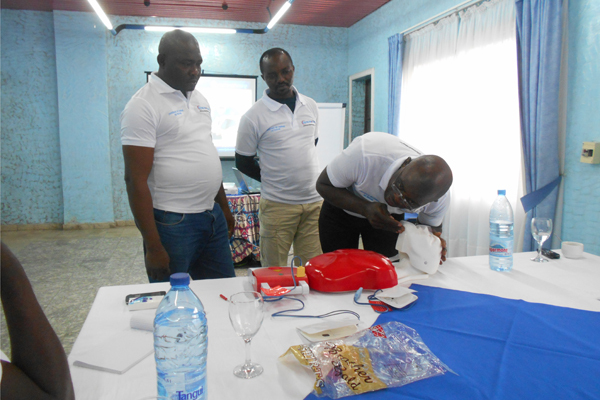 “I highly commend Hy-Classe Training for such a challenging practical session on First Aid and CPR, the trainer insisted that each individual practice all the different first Aid and CPR techniques and did not allow any person to go without successfully completing the techniques. I am grateful for that and I thank Hy-Classe Group. DOUNKEU CHRISTIAN who attended the first aid and CPR training opines “The lesons I have learnt today here are indispensable and will be practiced at the job site should the occasion arise, I never knew I could be a first aider but after this training, I am convinced I am a first aider and will successfully administer first Aid should the need arise. The food and coffee breaks were excellent, I ate very well, I thanks Satelec FAYAT and Hy-Classe Training”.